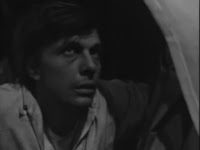 David seethes within the solitary confinement of his room. Within his own chest of drawers, he withdraws a spark plug. Going to Vicki’s room to explore her things, he’s found by her. She chases him out, knowing that he’s taken something. She tracks him down, and David denys having anything. (Of course.) Vicki emphasizes their friendship over whatever it was that he took. She implies that they need each other to solve each other’s loneliness. David asks if she feels as if his mother will never return. She says no. David says that he was giving her a present. He gives her a shell in a moment of suckupery worthy of Eddie Haskell. Outside the room, Carolyn asks Vicki what happened. Vicki presents the shell -- a piece offering -- and Carolyn doubts it. Vicki responds that if it’s foolishness, it’s the same foolishness shown by Carolyn when she believes Burke’s kindness. Over at the Blue Whale, Burke tries to buy Joe a beer, and Joe explains that he’s not for sale. Burke agrees, revealing that he’s already been to Collinwood. At the house, Carolyn primps and Vicki warns her about Burke, but Carolyn is dazzled. Vicki lets slip that Roger will be drinking with Burke later. 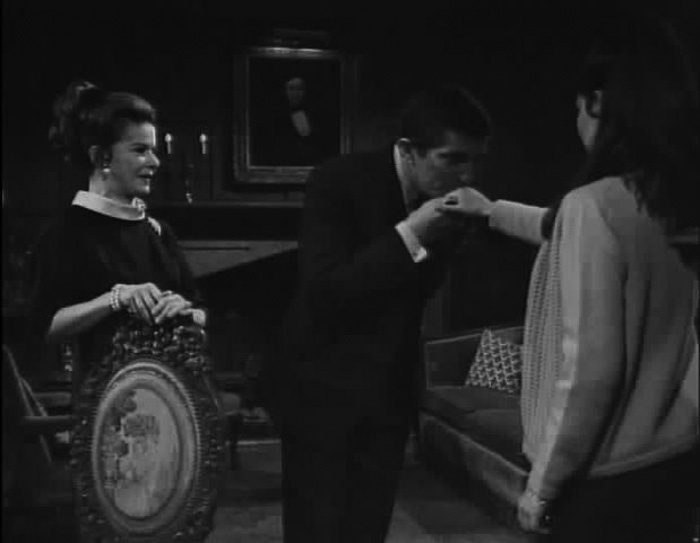 Joe knocks on the door, and Carolyn asks Vicki to occupy him while she dons her upteenth new dress. The two meet, and Joe calms her with folksy confidence. Carolyn asks to go back to the Blue Whale, despite the disapproval of Joe and Vicki. The governess goes upstairs and sees a door behaving strangely. Now it’s locked… the door to the rest of the house. Ghosts? 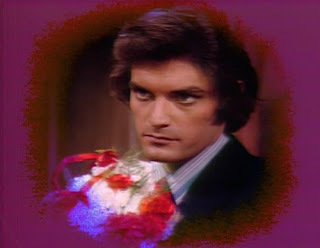 David says they hate everyone at Collinwood. He then presents her with another gift -- an engineering publication. Continuing his strange interrogation, David asks about his father hating Vicki and Burke hating his father. He concludes that he and Burke could be great friends. 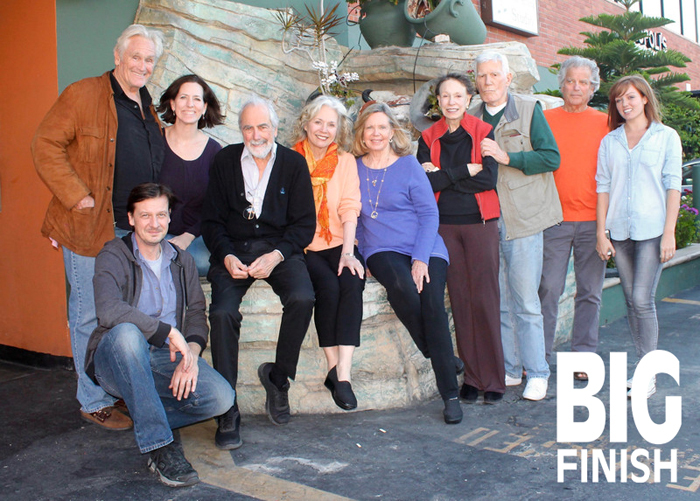 At the Blue Whale, Carolyn and Joe see Burke, to Joe’s disgust. Carolyn wants to invite him over, and Burke slinks over and offers to buy coffee. Joe is too polite to keep him from joining them. 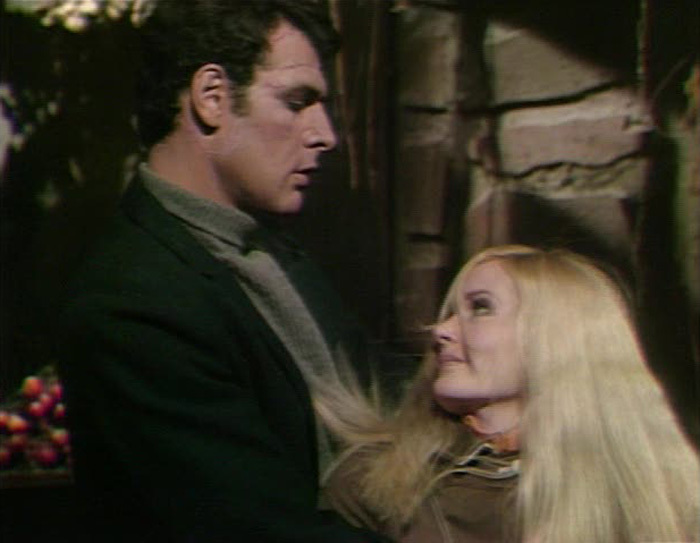 Back at Collinwood, David rebuffs Vicki’s attempts at friendship. 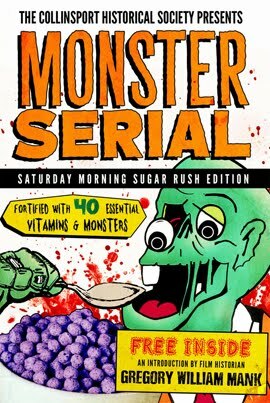 A door opens and closes… run for your life! I’m not being facetious. 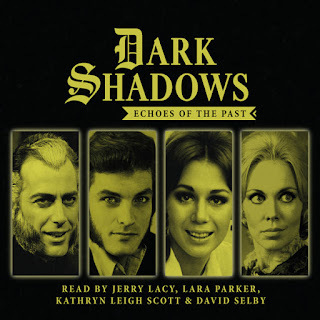 DARK SHADOWS departs from realism with tremendous, supernatural implications. I wonder what viewers at the time made of that. It must have been a little bit of “enough” to keep them tuning in. Ultimately, they didn’t build their fan base on misplaced pens. 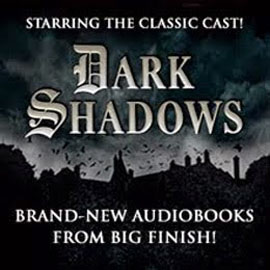 The star of this one is, as is often the case, David Henesy, who has every permission possible to chew the scenery in the name of eevil, and he does so with relish. When he suggests allying himself with Burke, it is the clearest demonstration of Roger’s failure at humanity. Carolyn helps Vicki don Josette’s dress in preparation for the next evening’s ball. Vicki experiences strange deja vu when hearing her name. Carolyn would be frightened by the feeling, but such notions frighten her. Vicki counters that it’s harmless, and it’s only meant to bring the family closer. It needs to be an enormous success. Carolyn agrees, saying that she deserves to be a Collins. Victoria Collins? No. Josette Collins. 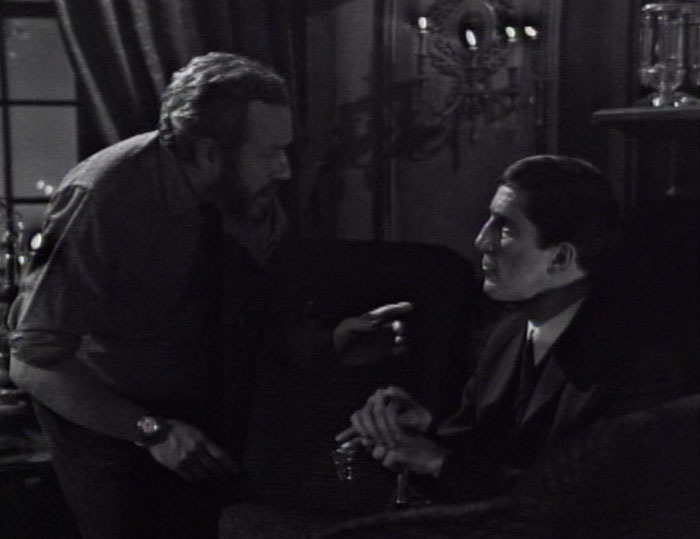 At the Old House, Barnabas checks on the progress with Willie. He emphasizes the importance of the night with Willie. 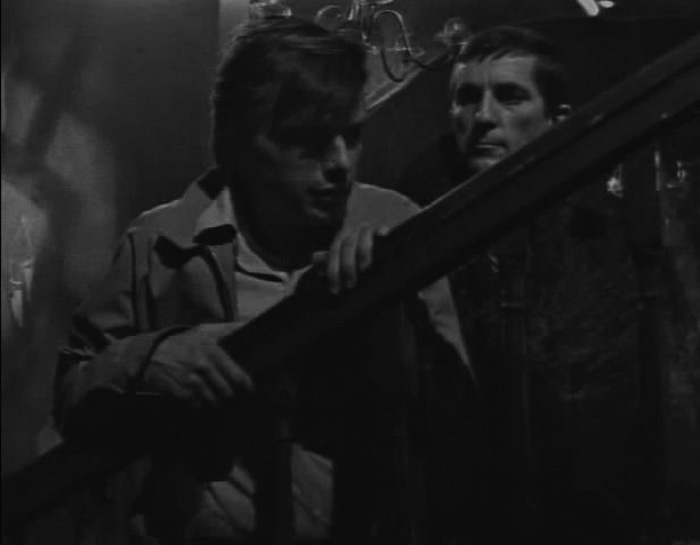 Later, Burke arrives at Collinwood. Carolyn greets him, and goes to fetch Vicki. He confirms that Carolyn is feeling better and that she’s over her motorcycle fetish. She thanks him for his help for her and the family. In the drawing room, Burke toys with Vicki, asking her to dinner. She can’t… she must go to Barnabas’ party. Vicki must go as Josette, and Burke doesn’t like it. 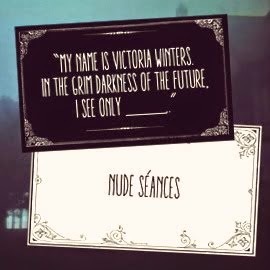 It reminds him of Josette speaking through her at the seance. 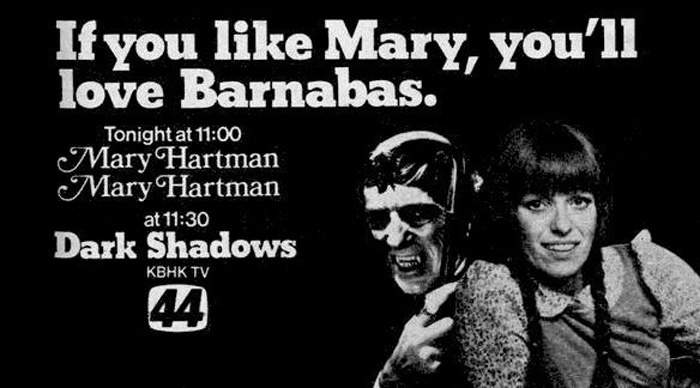 Vicki decides to ask Barnabas for an extra invitation. Willie greets her at the Old House, and she congratulates him on his improvement. He needs to wear a costume and join in the fun. Barnabas arrives, and he’s delighted that the plans are moving along. She asks if Burke may come. 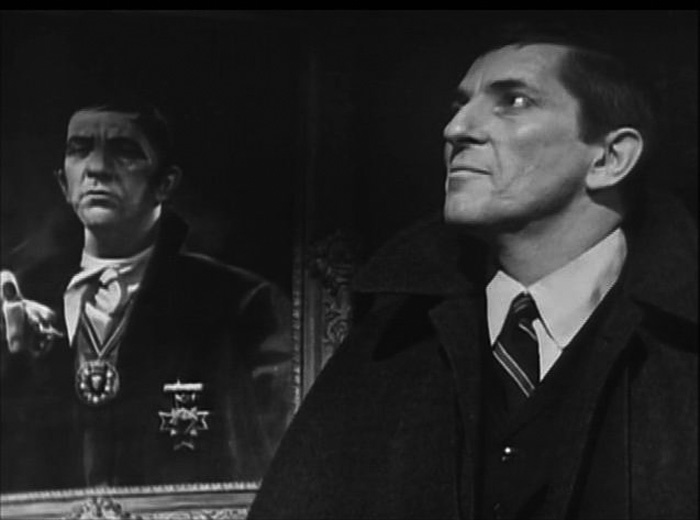 Upon pondering it, Barnabas decides that he would be perfect to play Jeremiah Collins. 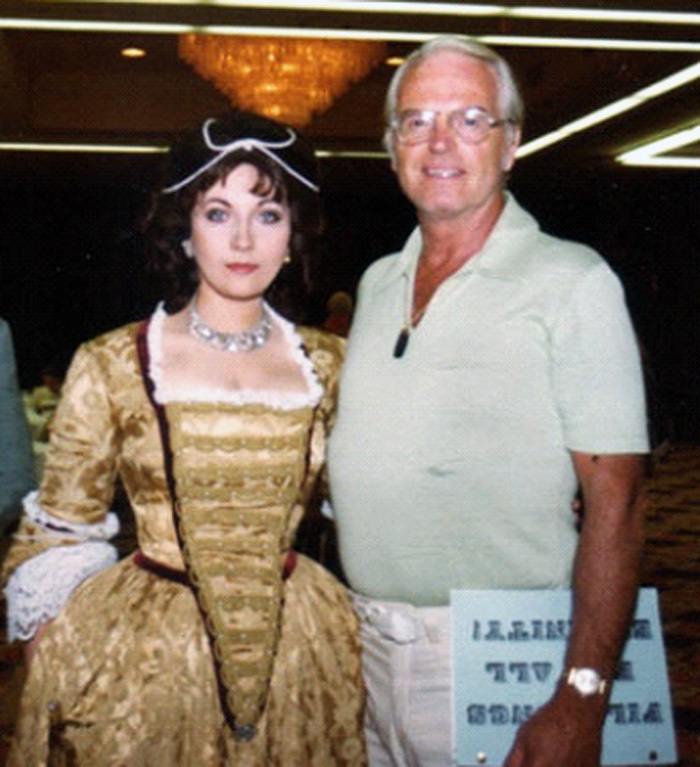 He married Josette and built Collinwood. She agrees, and Barnabas later tells a stunned Willie that Burke will be useful to the evening. Jeremiah was his worst enemy, and that tomorrow night might provide him with the chance to truly destroy him. As I so often say, what a difference a single year makes. 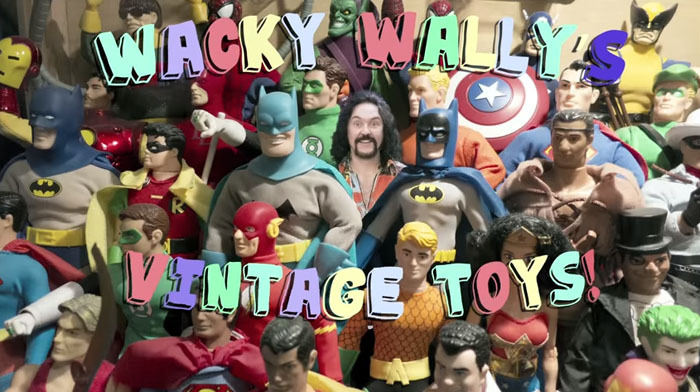 Think of how outrageous and strange the entire premise for this episode is. Aligning Vicki with Josette is the wise move they should have made from the beginning. However, it still begs the question; will the real reincarnation of Josette please stand up? 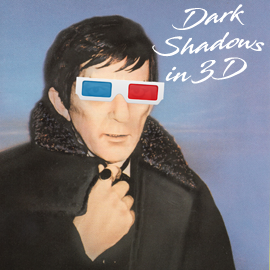 As a villain, Barnabas is totally unique. Who else launches a master plan just to awaken the spirit of past ancestors? 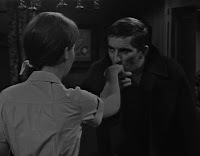 After the dream curse, Vicki is terrified to see and tell Barnabas. At the Old House, Barnabas finds a note allegedly from Vicki that announces she must leave or inflict the dream on him. He rushes off to stop her. At Collinwood, a confused Vicki greets him. She says that she sent no note, although the note is in her hand. Cassandra! A trickster to the end. 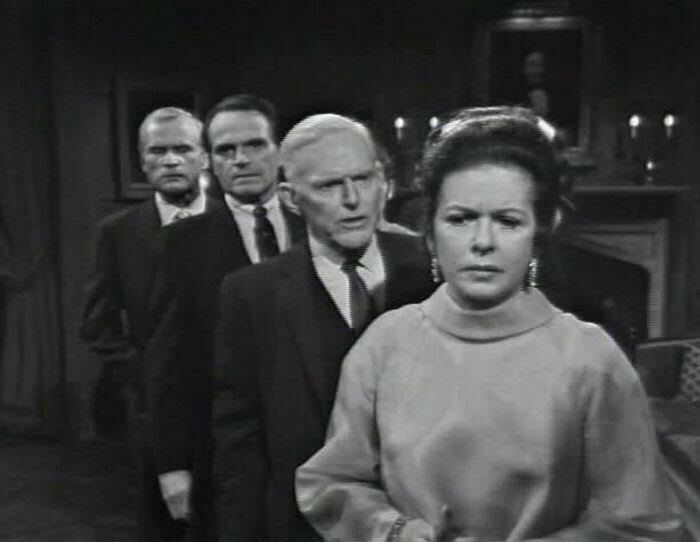 Julia enters and tries to pry them apart. 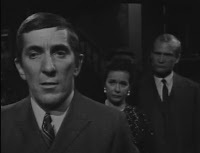 Barnabas is fatalistic, but Julia gets him to go. 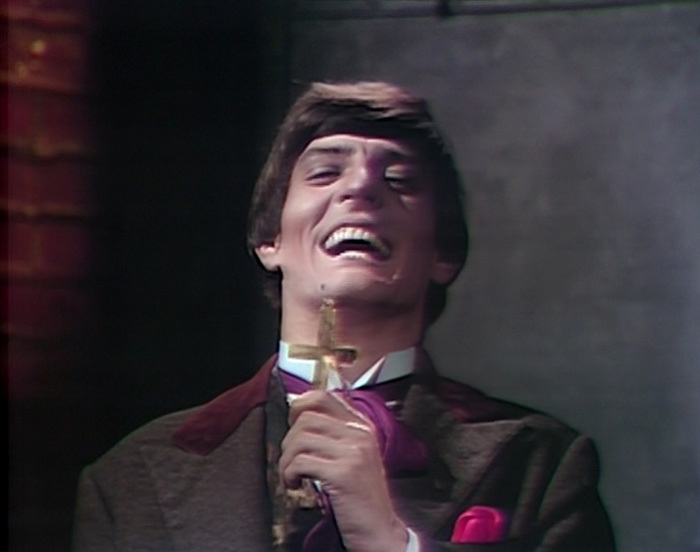 Meanwhile, Vicki is tortured by sounds from the dream but will not tell Barnabas. Carolyn enters from visiting Joe in the hospital. Joe talked in the hospital, tortured by the site of Adam surviving his jump from Widow’s Hill. Is Adam still alive? Where is he hiding? Julia asks why she cares; too much curiosity may be dangerous. Carolyn leaves for the root cellar where she was once a captive. Adam is there. Adam asks what she wants. He’s wildly paranoid, initially convinced she brought the police. She pleads her case, and Adam accepts her help. She notes his widely expanded vocabulary. Who taught him? He says it was Stokes. But he cannot go back, because Stokes, he believes, is angry with him. Carolyn asks if he was happy with Stokes. Hearing that he was happy there, she says he should go to Stokes. Reluctantly, he allows her to seek help. At the Old House, Julia greets Barnabas solemnly. He’s distraught with anticipation. He cannot let Vicki suffer; he must let her tell him the dream. Yesterday, he told Cassandra that he would resume the relationship, but he was rebuffed. There is no going back. 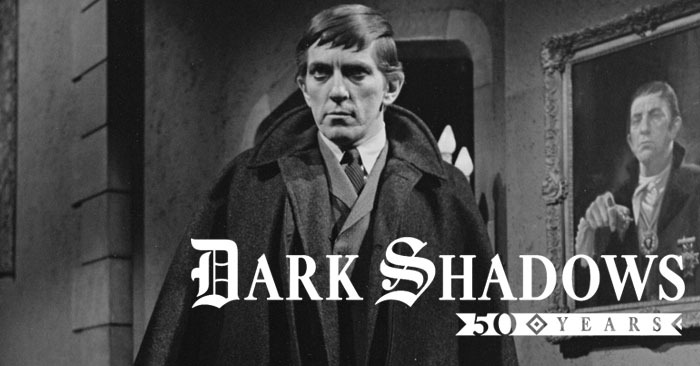 Barnabas might as well be wearing a red cape in this episode. And tights. Maybe he was. 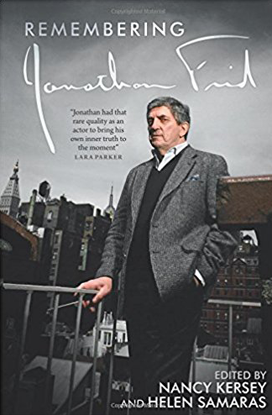 Not Jonathan Frid. No, I mean Barnabas. Why? I don’t know. I’m just throwing out possibilities. This episode is a tribute to heroism. Julia, Vicki, Barnabas, and Carolyn all push past fear to attack problems they should instinctively flee from. 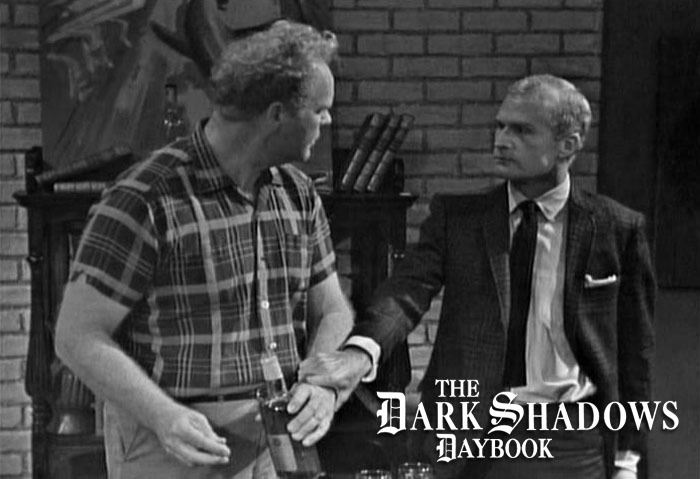 This is how DARK SHADOWS villains are ultimately defeated. They rely on their victims to knuckle under like frightened dimwits. Well, Angelique is messing with the wrong family. 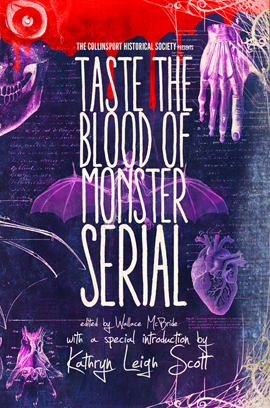 With Michael Stroka delectably italicizing every word, we don’t just embrace melodrama. 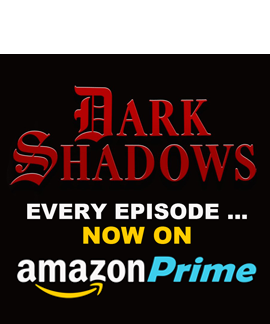 DARK SHADOWS enslaves it. (Is that FIFTY SHADES OF GRAYSON?) There’s cackling and implying and insinuating and more eyebrows arched than in an entire season of STAR TREK. If you want to hear about people wanting and giving “the Hand,” you’ve come to the right place. Notable moment: Quentin’s tender reiteration that Jamison is the only person at Collinwood that he ever really loved. Is it out of place here? No. It’s the marvelously warm heart at the center of such outrageousness. 1970PT. Quentin tries to reason with Maggie, who runs out and gets Barnabas. They return to the room to find him gone. 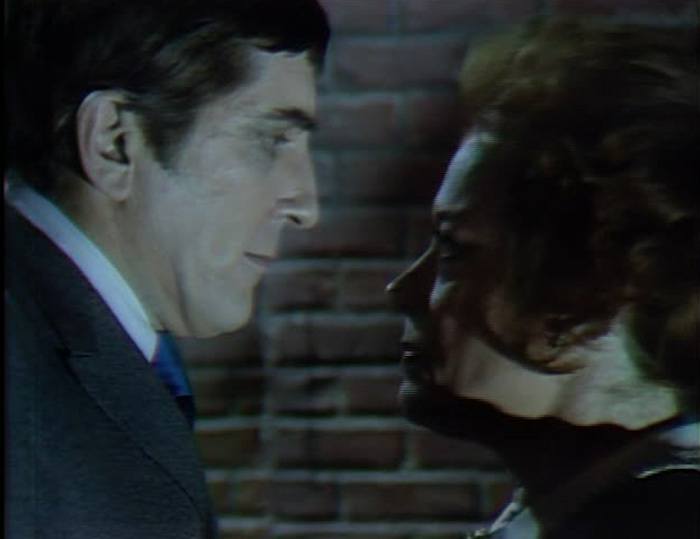 Maggie has seemingly convinced Barnabas that Quentin is a potential murderer. 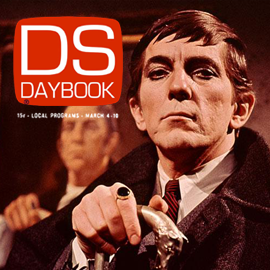 Elsewhere, Angelique begins to suspect that Julia is not “Hoffman.” Maggie bursts in, reporting Quentin’s “murder attempt.” Barnabas and Julia, in the drawing room, decide to find Quentin, even if he’s guilty. Even though Julia is under suspicion, she decides to follow Angelique. 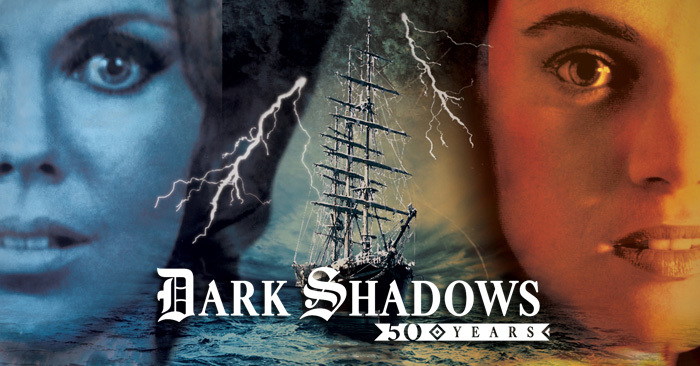 She faces great danger, as does Barnabas, and perseveres. Later, Angelique begins to leave, mentioning to Julia that she knows where Quentin is. Meanwhile, she orders Julia to uncover Barnabas’ secrets. “Alexis” then visits Quentin in a cave, convinced that Maggie is a witch. Why doesn’t Maggie just destroy him. What has he done to her? Is it because her father drowned on Quentin’s father’s yacht? Julia, having followed, listens to them. 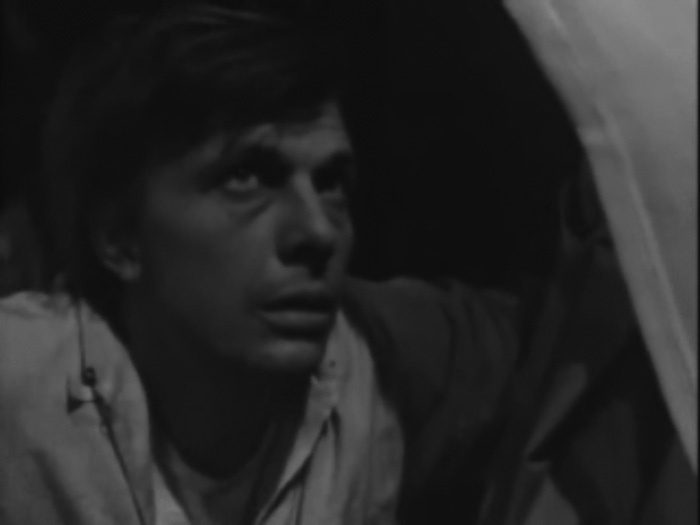 “Alexis” suggests he leave Collinwood on the run. Quentin expresses warm gratitude for “Alexis,” kissing her. Hearing of this, Barnabas goes to fetch Quentin. Julia claims that she can get him more easily. 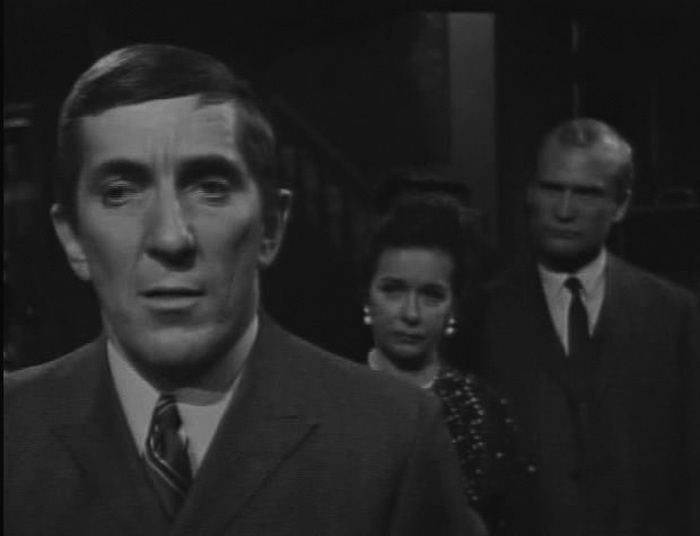 Barnabas worries, but Julia assures him she’ll be alright. Angelique returns, ebullient. She asks what Barnabas does during the daytime, but Julia claims he keeps himself busy. Angelique goes upstairs and Julia goes to secure Quentin’s return. On her way to her room, Angelique sees Quentin and Maggie in Main Time, speaking about Dr. Julia Hoffman going to Parallel Time to help Quentin. 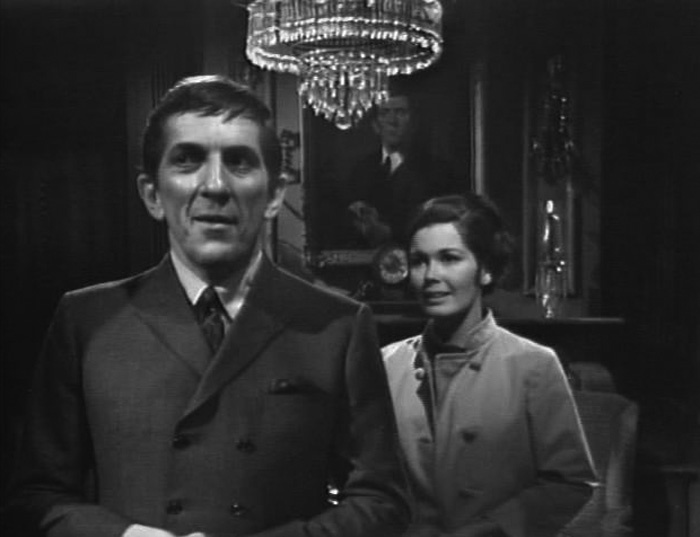 In Maggie’s room, Barnabas assures Maggie that she is safe. Later, at the cave, Julia tries to bring Quentin, but he suspects a trap. As they leave, “Alexis” appears, telling Quentin that the police are everywhere. He hides and Angelique confronts Julia with her true identity! This episode has so much going on in it that it’s a tremor of the hellzapoppin pace to come. Hidden caves, double and maybe triple crosses, and Angelique moving into first place! At the center of it all? 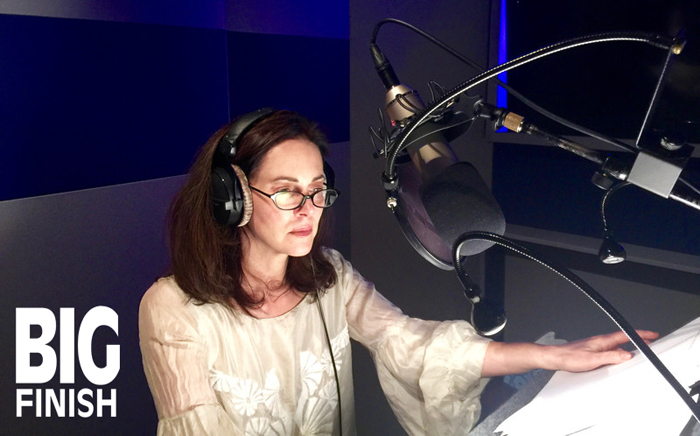 Dr. Julia Hoffman -- agent of intrigue and justice. 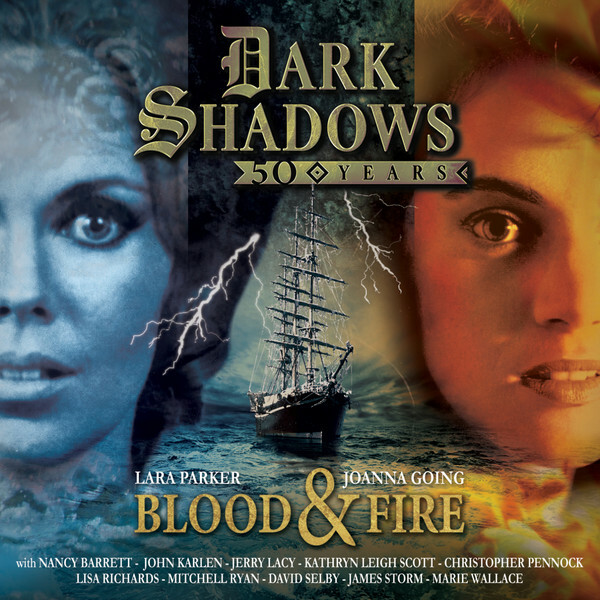 As Barnabas learns, repeatedly, she is the woman without fear. 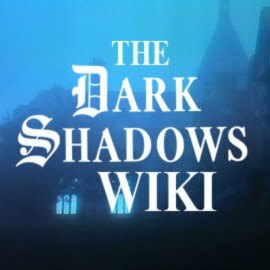 For a character who routinely shows so much of it, this is the antidote we need. Sam staggers home, confused of the time. Roger is waiting for him, and Sam insists on a drink. Roger insists that Burke will attack him. Sam won’t help Burke, if that’s what Roger wants to know. At the Inn, Burke sits at Maggie’s counter for coffee, and she reintroduces herself. He used to model for Sam, ten years ago. It’s a warm reunion. Vicki enters to make a phone call. She’s distant from Burke, and he’s curious about why they asked for Victoria to work at Collinwood. 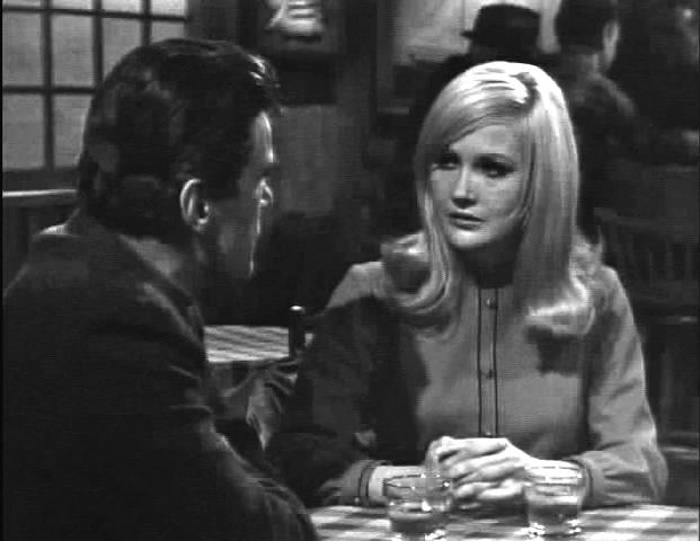 At Sam’s, Roger is incensed that he would visit her at Collinwood. Making a call, Roger finds that she’s in town, and he rushes to get to her before Burke does. Too bad. Burke is already having coffee with her. He charms and reassures her, fishing for whether or not she’d heard anything bad about him. He jokingly exaggerates his sins to make himself look harmless. Now, why did she leave the big city for Collinsport? A job, she says. It’s tutoring David for good pay. She tries to leave, but he charms her into staying with seductive and charming talk of clam chowder. Burke asks what Roger might have said of her. In the lobby, Roger finds that Vicki is having coffee with Burke. Shaken, he leaves. 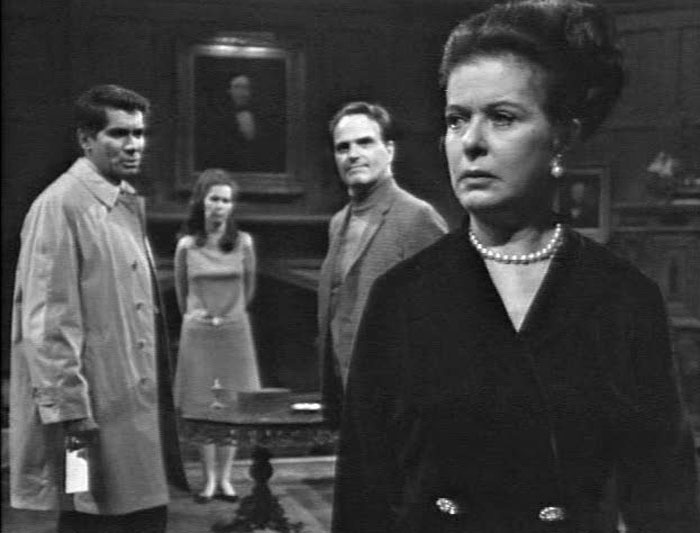 Burke insists that she must feel as if the house is haunted. Burke finds from Maggie that Sam has taken to drink. At Sam’s, the artist is drinking heavily. Burke enters to catch up. Sam is mordant, noting his negative changes. Burke leaves, unable to pull conversation out of Sam. At the Inn, Vicki waits on a call that finally comes. She’s trying to reach the Hammond Foundling Home. She needs Ms. Hopewell… it’s very important. 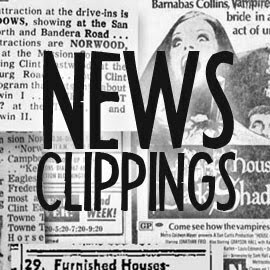 It’s Day 7 of the pre-Barnabas world of 1966. Supplies are running low. Historical records indicate that I have only 204 days left, give or take, until Captain Curtis returns. I’ve got to make the best of it. Just have to keep saying that to myself. All kidding aside, there are two major stars of this episode: Burke’s charm and Sam’s poetic morbidity. Both are examples of how well-written the show was, especially when dialogue was the only special effect. I’m being way too hard on it, actually. Art Wallace writes tight, tense scenes that never outstay their welcome and maintain suspense and mystery with admirable discipline. 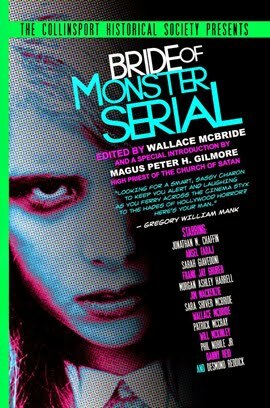 In my contention that DS must be looked at as one-big-novel-even-though-it-wasn’t-constructed-nor-conceived-as-such, we get a marvelous irony of Maggie stating that she would never work at Collinwood. Not only is this ultimately untrue, it has a double-irony. 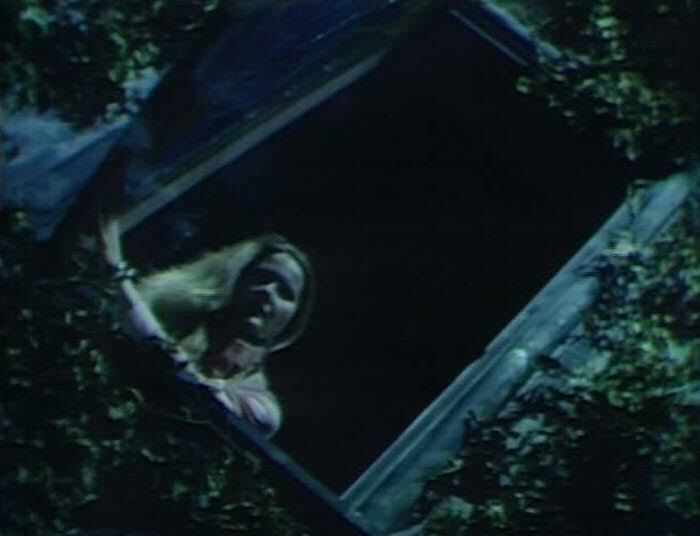 She was right all along to stay away; Collinwood will put her in the sites of Roxanne Drew, and this will eventually lead to her madness. Maggie Evans is only resilient up to a certain point, just like Quentin. 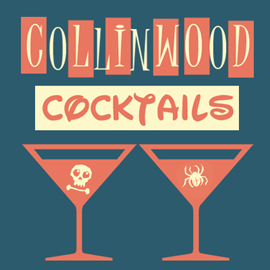 Ultimately, both are the collateral damage of Collinwood. Maggie will be a victim of her trust in people. 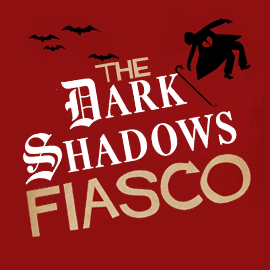 Quentin will be a victim of his trust in the supernatural and his own braggadocio. Quentin’s excesses are shared somewhat by Angelique. The point of 1840 is her getting past them. 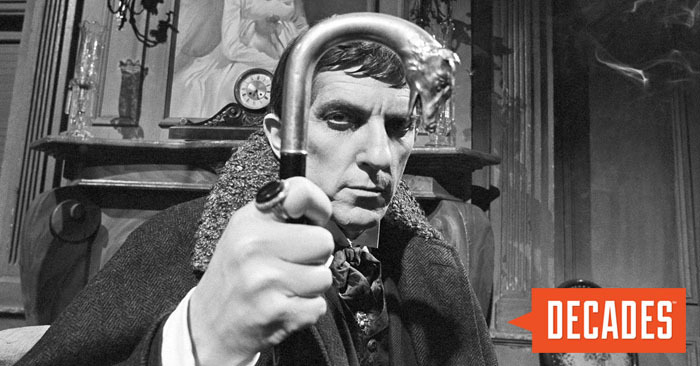 I wish I had something equally equivalent and palindromic for Barnabas. I’m workin’ on it. Oh, this episode also marks the first time Bob Lloyd would tell us that it’s been a Dan Curtis production. Thanks, Bob! 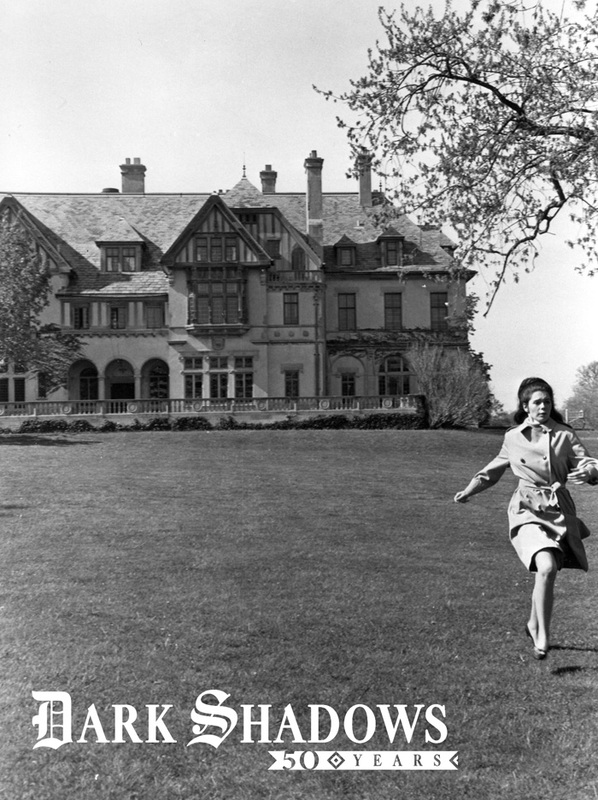 Liz again stands on Widow’s Hill as Vicki looks for her at the house, unsuccessfully. 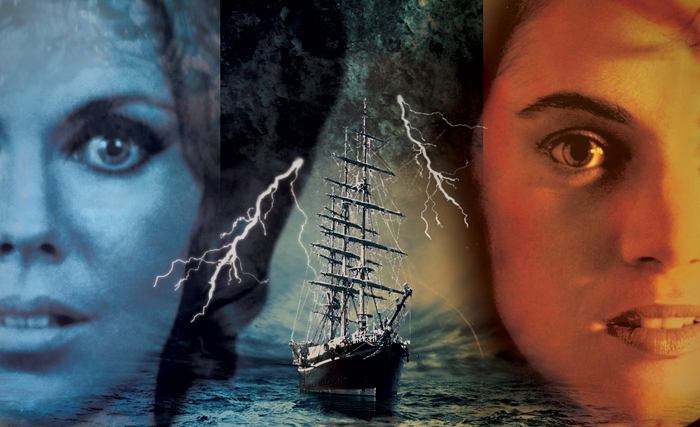 On the cliffs, Liz hears the widows call her name to her. Again, Liz tries to jump, but is stopped by Vicki, who has found her. Liz insists that she be left alone, but Vicki struggles with her to take her back. Liz says she can’t go back. There’s nothing left for her. Vicki says there must be another way… all they need is time. But the wedding is tomorrow, and Liz has betrayed everyone. Vicki counters that she has shown strength for eighteen years. Vicki fights for hope. If she dies now, Jason gets off the hook, and Carolyn would know she was responsible. It would destroy her. Vicki points out that, “Where there is life, there is always hope.” Liz embraces her and returns to Collinwood. Vicki agrees that the family not be told, and says that she needs to erase Liz’s death date in the family Bible. Jason enters and tries to excuse Vicki, but Liz insists she stay. Jason presents her with the wedding ring for her to try on. She refuses. Liz feels she has the strength to encounter Jason alone, and assures Vicki that it’s alright to leave. Alone with Jason, she tells Jason she’ll wear it at the wedding, but it will never be a real marriage. At the Blue Whale, Burke meets Vicki after getting of the phone with a report on Jason. From Hong Kong to Marseilles, he’s been a swindler, thief, and extortionist, and he always skips out before the law can close in. If he gives the information to Liz, she’ll call it off. After pondering it, Vicki agrees that it’s worth a chance. 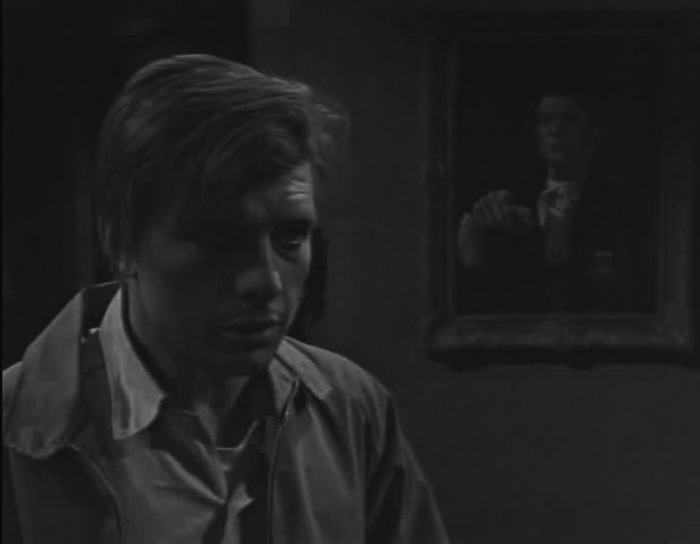 At Collinwood, Burke shares his proof of Jason’s background. 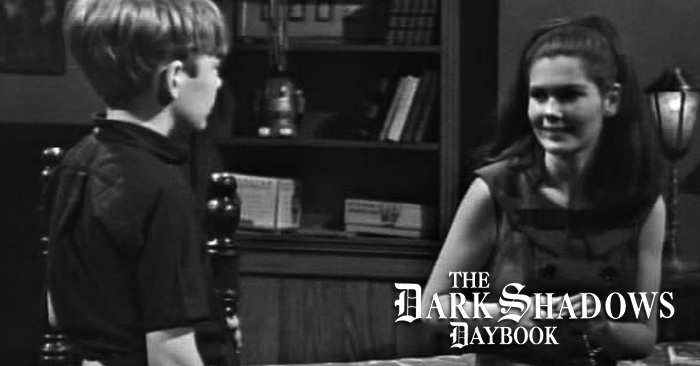 Liz resists, and Jason arrives on the scene. 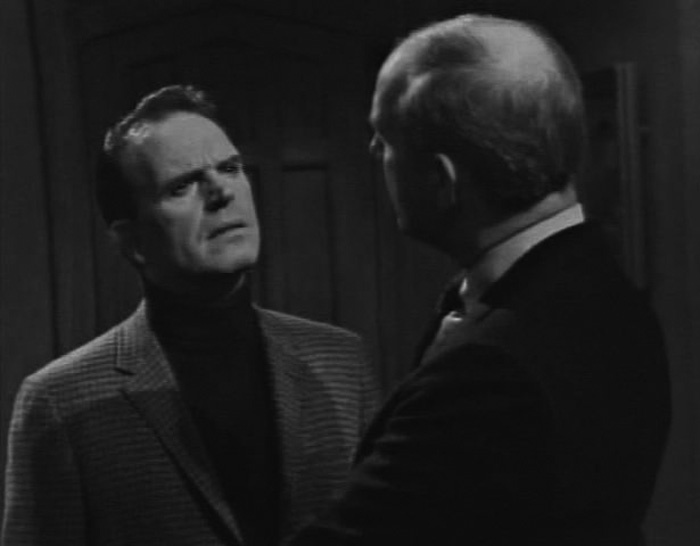 Burke openly confronts Jason, but Liz tells him he was unsuccessful in dissuading her. Burke questions Jason’s character, giving Jason his rap sheet. Jason asks Liz if it bothers her, and she says no. 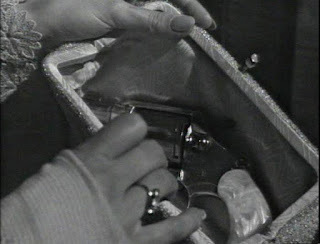 In victory, Jason hands it back to him and invites him to the wedding. At this point, Mitch Ryan’s Burke would have slugged the SOB. However, compared to what Anthony George’s Burke has accomplished toward helping Liz, it’s almost as if Ryan’s wasn’t aware that Jason existed at all. 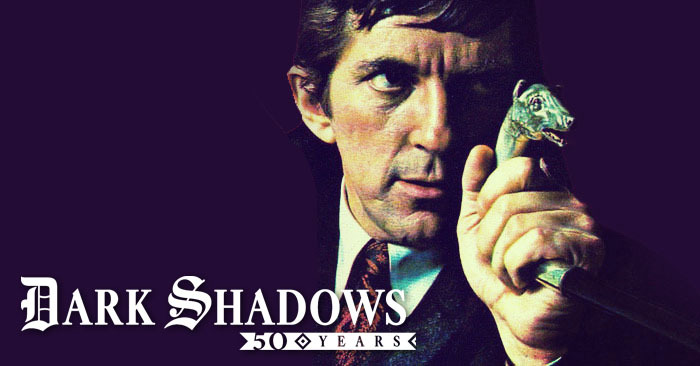 DARK SHADOWS has that odd habit of nothing happening until you blink, and then you realize that everything has been happening all along. 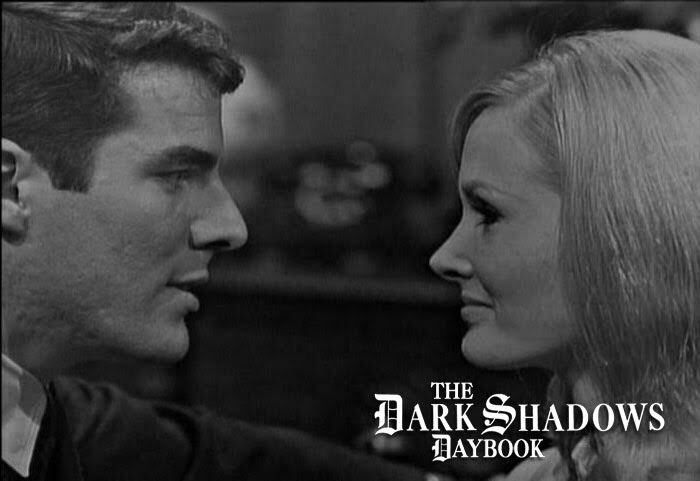 DARK SHADOWS is like the finest works of Chekhov, but interesting. The fall must be coming because Jason is at the height of his powers. 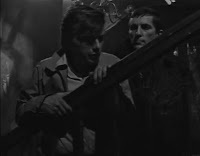 Presented with his own rap sheet by the one (hu)man in Collinsport who can Do Something About It, Jason transcends its danger, laughing it off. Laugh while you can, monkey boy! 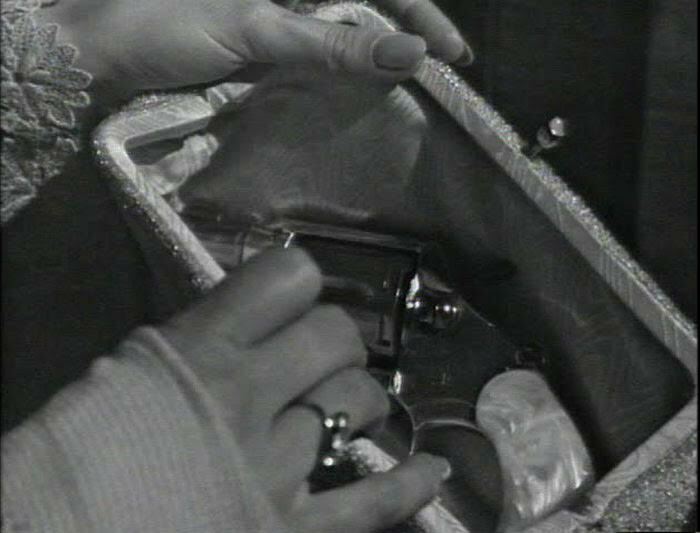 Vicki is back from the forest as Jeff ponders the button she was clutching… the one from Nicholas’ coat. All is well, Nicolas says. The portrait is restored. Cassandra is back. 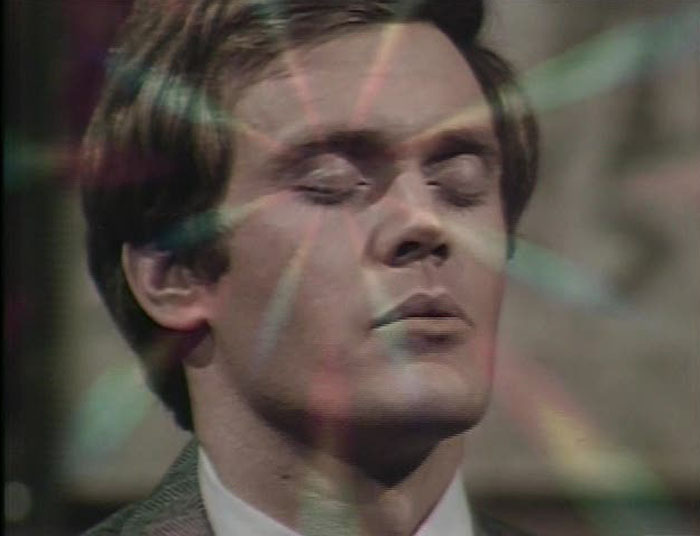 Nicholas leaves them, and Vicki rues the effects of the painting on Collinwood. Jeff says she wasn’t sleepwalking, brandishing the button. Vicki remembers nothing, and Jeff asks her to take him to Stokes. He must know his past. She tells him that if he’s not Peter Bradford, it won’t matter. This delights him. Alone, Nicholas savors his triumph when Jeff enters. He tells Nicholas to stay away from Vicki, presenting him with the button. With Stokes, Adam scans the dictionary, disheartened at his ignorance. 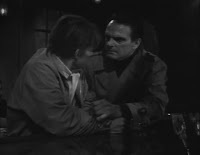 Stokes reassures him, and then asks him about his past. 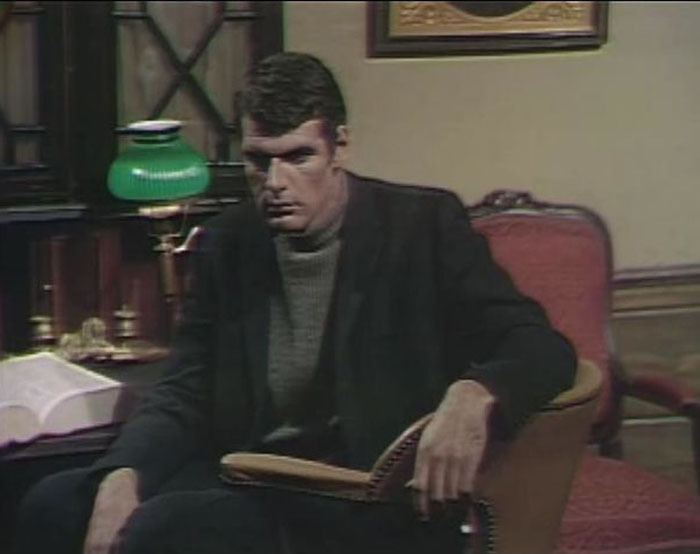 Adam broods and admits that Barnabas is his first memory. He describes the table and straps of his first moments. Adam narrates his flight from Willie and the beating he received from Barnabas. The doorbell rings. It’s Vicki and Jeff, so Adam goes to the adjacent room with instructions to recall why he was chained. 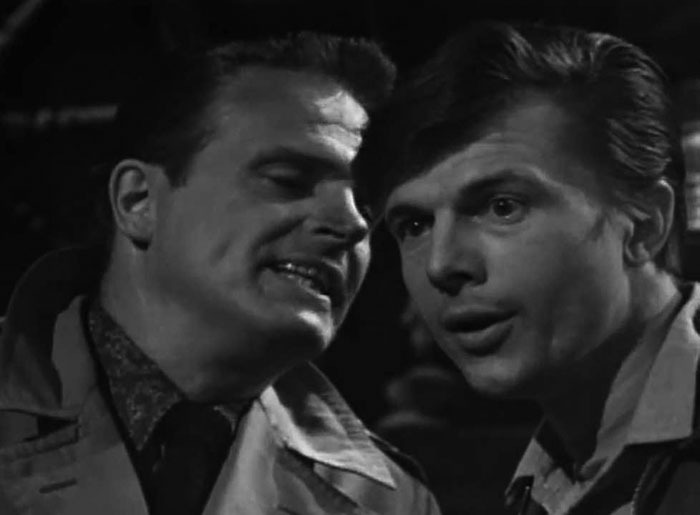 Sending Vicki away, Stokes performs a past life regression on Jeff. He speaks of Lang’s experiment, and that he was going to use his face on the human he was making. Stokes asks if Barnabas and Hoffman were involved. Stokes summons Adam, and Jeff is horrified at Lang’s success. 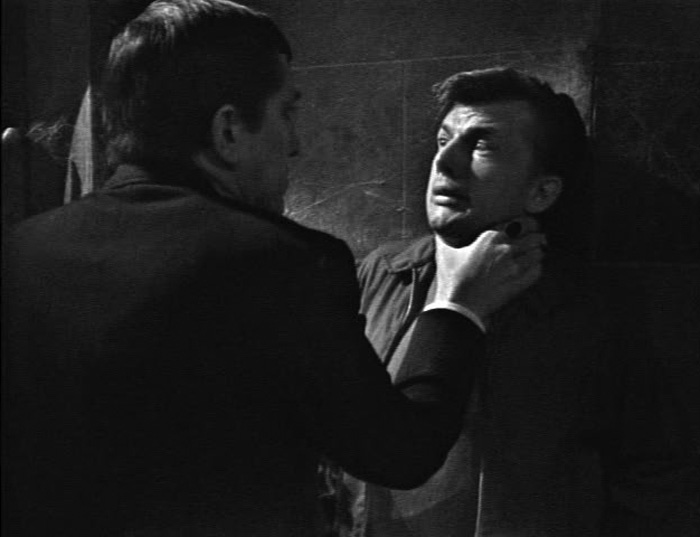 The professor then pushes him to remember life before Lang. Stokes then pulls him out of trance. Jeff remembers nothing of the session. 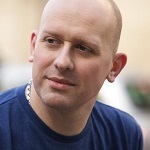 Professor Stokes then goes to Collinwood where Vicki tells him that Cassandra is back. She then introduces him to Nicholas. Stokes recognizes him as the man who sold the painting to the antiques dealer. Nicholas denies it and leaves. Stokes then tells Vicki to leave Collinwood that night, or she will be the next victim of the dream curse.